The iPhone X Fold, an iPhone with a foldable screen, is not yet a reality. While waiting for an announcement from Apple, an artist designer has imagined what could look like a collapsible iPhone in a video concept hallucinating. There is a screen that folds inward and a secondary screen on the back. A few weeks ago, Samsung unveiled the Galaxy Fold, its first collapsible smartphone . Huawei quickly responded to its rival with the Huawei Mate X, a collapsible 5G smartphone sold for over € 2,000 . While many manufacturers promise the arrival of their own foldable device, including Xiaomi or Honor, Apple remains silent. Unsurprisingly, many aficionados of the Apple brand dream of a foldable iPhone. On Behance , the Linkedin dedicated to artists and designers, Ran Avni and Antonio de Rosa, two talented 3D artists, imagined the iPhone X Fold, a purely hypothetical iPhone … but rather attractive. 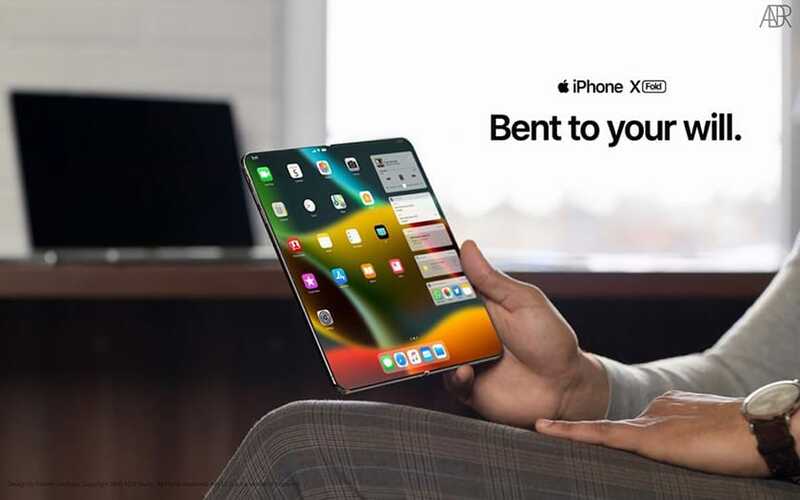 The iPhone is more of X Fold Fold Samsung Galaxy Mate as X . The screen of the device actually bends outwards. On the back of the smartphone, the designer has imagined a secondary screen, which allows to use the terminal once it is fully folded. On the outside screen, we notice the presence of the large notch that characterizes the iPhone X, XS and XR . On the back, a glimpse also a triple rear photo sensor arranged square Huawei Mate 20, which should also be found on the iPhone 11 . On the huge folding screen, the designers have chosen to place a large oval hole in the manner of the Galaxy S10 +. What do you think of this video concept? Could you crack for a collapsible iPhone of this ilk?